Austrian physician; born at Prague Sept. 22, 1807; died at Interlaken, Switzerland, Oct. 28, 1870. 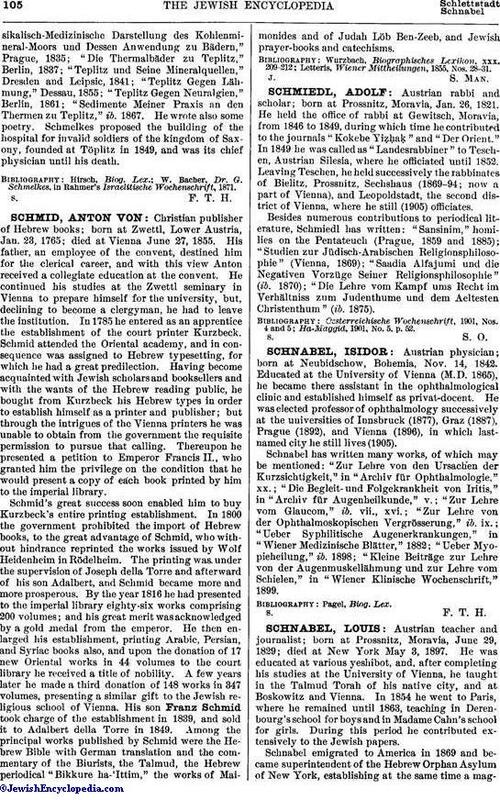 Educated at the universities of Prague and Vienna (M. D. 1837), he became in 1838 physician to the Jewish hospital at Töplitz (Teplitz), Bohemia, at which watering-place he established himself as a physician, practising there until his death. Of Schmelkes' works may be mentioned: "Physikalisch-Medizinische Darstellung des Kohlenmineral-Moors und Dessen Anwendung zu Bädern," Prague, 1835; "Die Thermalbäder zu Teplitz," Berlin, 1837; "Teplitz und Seine Mineralquellen," Dresden and Leipsic, 1841; "Teplitz Gegen Lähmung," Dessau, 1855; "Teplitz Gegen Neuralgien," Berlin, 1861; "Sedimente Meiner Praxis an den Thermen zu Teplitz," ib. 1867. He wrote also some poetry. Schmelkes proposed the building of the hospital for invalid soldiers of the kingdom of Saxony, founded at Töplitz in 1849, and was its chief physician until his death. 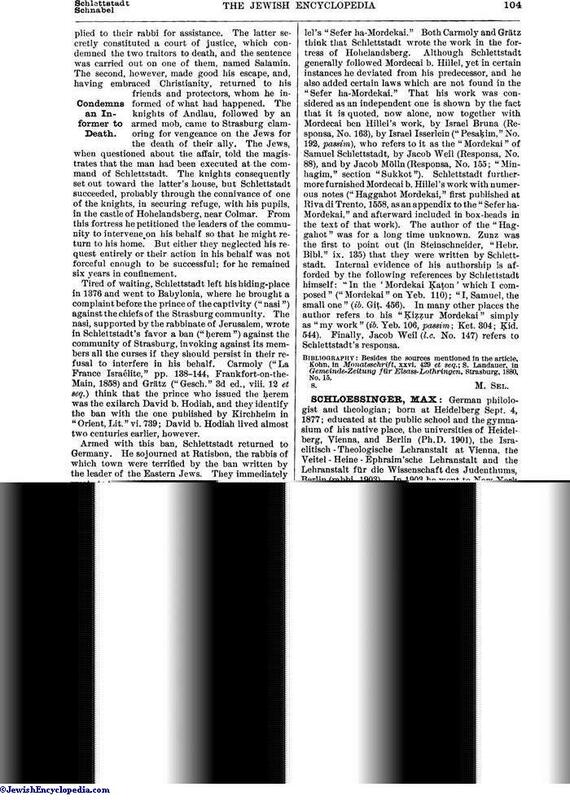 W. Bacher, Dr. G. Schmelkes, in Rahmer's Israelitische Wochenschrift, 1871.